We left Wednesday, March 8th. There had been a bunch of new snow since Mel plowed our driveway and we almost didn’t make it out of our driveway. We spent Wednesday night at Saskatoon and took Lucille to see her doctor on Thursday morning – the first time she had been out of her apartment building since she went home from hospital. Doreen drove from Kindersley; there hadn’t been a lot of snow since about Rosetown, and in Alberta there was virtually none. Then, a few miles east of Hanna, a terrible wind and snow storm came up, coating the highway with ice, and we holed up there for the night. I suspect the motels in town were just about filled up because a lot of travelers were calling it a night. Roads were coated with ice, getting slipperier as it cooled down. We took it pretty slow next day; didn’t get on the road until about 10:00 and by then the sanding trucks had done their job and the highways weren’t too bad. As usual, we stopped at That’s Crafty, west of Drumheller. June opened a week earlier than normal, just the day before the storm. We had one of her fabulous soup luncheons. By the time we left there, the highway was pretty well dry. That storm swung around to the north and west and came down Highway #2 from the north on Saturday. Our tour bus was an hour late and a real mess, but we still made it to Helena that night. Next morning, he had the bus washed and the windows sparkling clean again. Our bus driver runs a little short of sleep some nights. Next day we went to Jackpot, Nevada, so the gambling began in earnest. 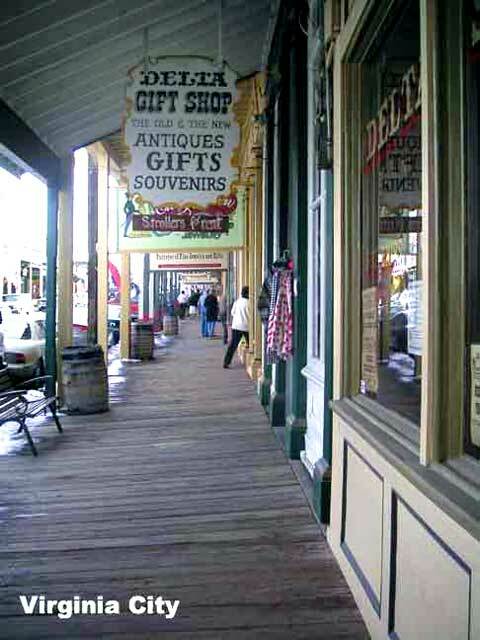 Monday, we stopped at Wells, Elko and Winnemucca for a stint of gambling, getting to Reno about suppertime. 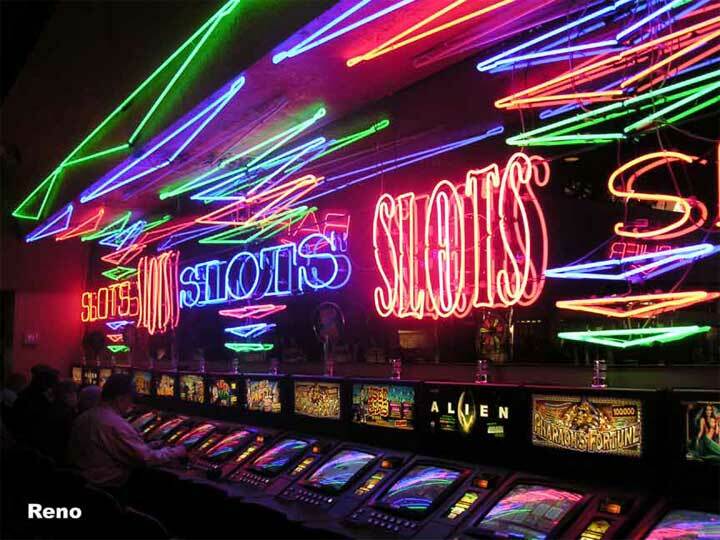 These gambling tours are dirt cheap, because the casinos subsidize them. I think our tour, which included bus and accommodation for nine days was less than $500 per person. Meals were extra, but if one doesn’t go hog wild on the gambling, it makes a pretty inexpensive holiday. We did a quick calculation near the end of the trip and figured by the time we took meals into account, we didn’t leave much behind on the gambling tables. Win a little here, lose a little there. We’ll never make a fortune on the penny machines! Again, we had a very comfortable bus, an excellent tour director, and a talented bus driver. It was a congenial bunch of tourists as well, and that really makes for a good trip. Accommodations were great everywhere. We have been extremely lucky with the bus tours we have taken – we have never yet had what we would call a bad one. We left Reno on Friday and the ground was wet. We spent that night at Jackpot for our last night of gambling. Next morning, there was snow on the ground, though it melted on the highway and didn’t cause any trouble. By the time we pulled into Helena it was snowing and blowing in earnest. We left Helena at 7:30 this morning; there was about six inches of new snow, a stiff wind, and snow still coming down. Before we got too far, the road was coated with ice and we were slowed right down. Lots of vehicles in the ditch. We heard later that by 8:30, highways out of Helena had been closed, so we were lucky to get out when we did. As it was, once in awhile we could feel the bus drift a little. 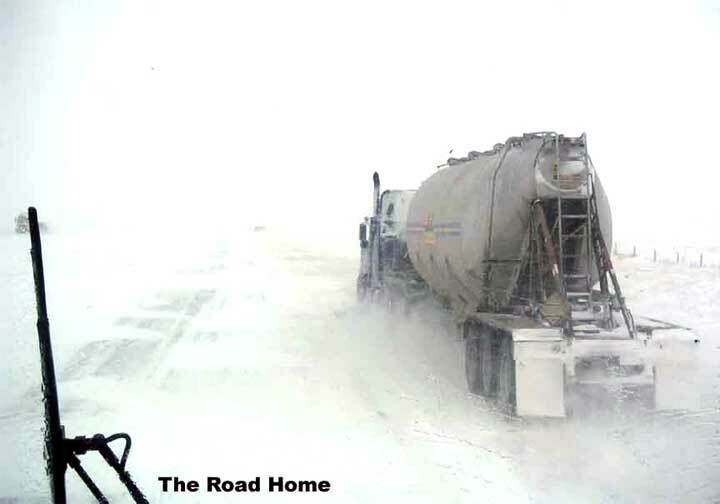 Conditions stayed bad all the way to the border. On the Canadian side, salting had been done, and there were some bare tracks to follow. Before long the highway was bare, and from Lethbridge on we were in sunshine and the fields were bare. All in all, a good trip, and exciting in spots!